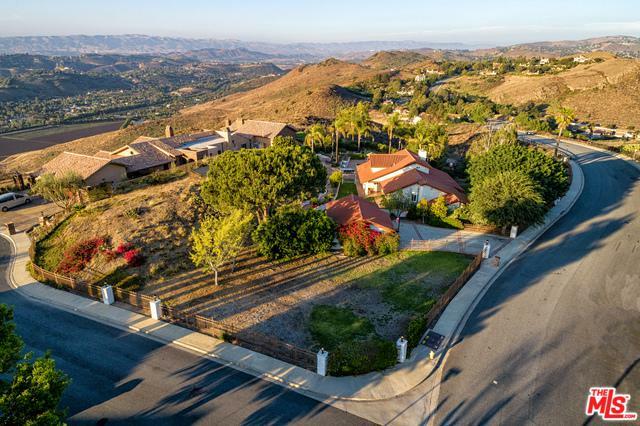 Beautiful hill-top estate on a 47,054 SQFT corner lot with impressive and usable grounds- able to add a spacious guest house/mother-in-law suite. Also an outdoor entertainers delight! This 4 bedroom home has a sprawling updated kitchen, complete with granite counter tops and center island, custom cabinets, stainless steel appliances, travertine floors, and a large desk/study nook. The spacious family room boasts a fireplace and Brazilian walnut floors. 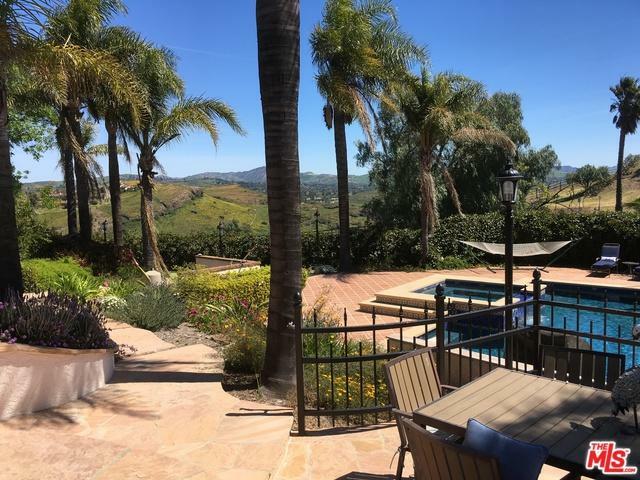 Two over-sized guest bedrooms upstairs display picturesque views of the Santa Rosa hills. The fourth bedroom located downstairs would make a fantastic den or office too. 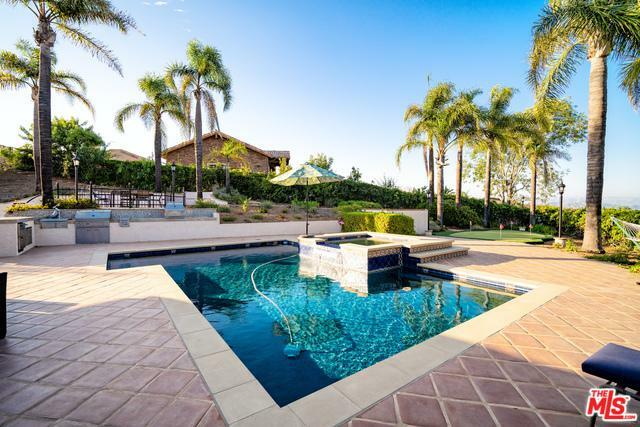 The massive outdoor space is an entertainer's dream including Al fresco dining with fabulous views and brand new pool/spa renovation with Spanish tiles, outdoor kitchen with granite, LED lighting and all new Lynx appliances- pizza oven, grill, stove top, refrigerator, sink, and storage. Plus a putting green for tons of fun! 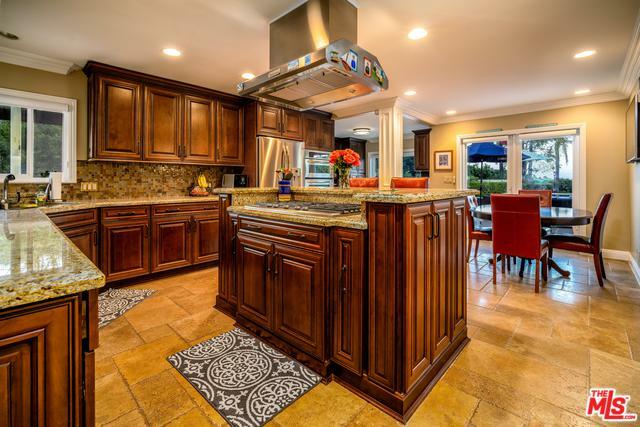 Listing provided courtesy of Kelly Kreuser of Engel & Volkers Sherman Oaks.